Haresh Nayak, Regional Director, Posterscope Asia Pacific Group MD, talks to Exchange4Media on his experiences and thoughts for the future as he celebrates 10 years with Posterscope India. Nayak currently heads operations under the Dentsu Aegis Network (DAN) umbrella for Posterscope (OOH), Brandscope (OOH), Ambient OOH, Hyperspace (Retail), InDeed (CSR Advisory) and C-LAB (Celebrity & Sports Management). 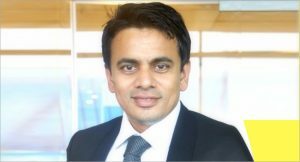 On the 10-year journey; Nayak joined the company on 25 August 2008. “When I joined Posterscope India, Ashish Bhasin and I weren’t even aware of how things would be. The journey was little rough at the start during the 2008 global financial crisis, but the journey has been remarkable and it’s largely due to the kind of people we have and my mentor- Ashish Bhasin,” Nayak shared. “We started an initiative way back in 2014 and in 2016 where we cracked the entire piece on how to bring in ROI and data into the industry. We are little ahead of our competitors when it comes to this subject. Today we have global software and tools which can tell you where your target audience is, what they are searching for and what kind of media options you need to take,” shared Nayak. To read the full interview click HERE ….